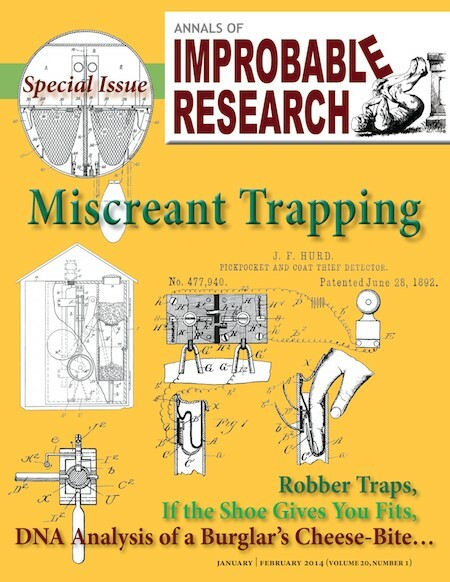 March 2014, issue number 2014-03. ISSN 1076-500X. � World premiere of the opera "The Homosexual Necrophiliac Duck"
"This histological study of the human ductus epididymidis in autopsy or surgical specimens revealed the presence of multiple intra-epithelial cavities or pits." 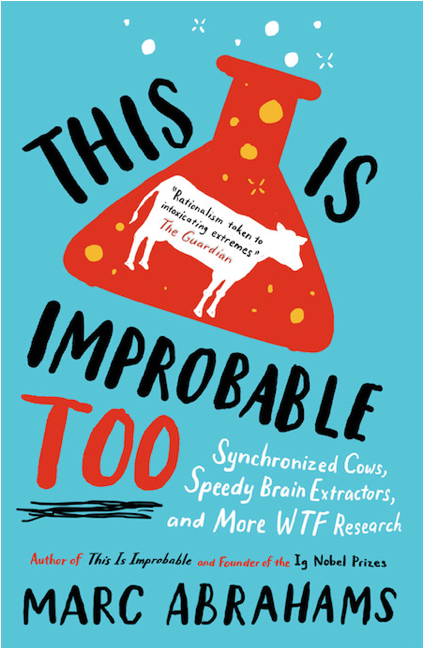 This Is Improbable Too, by Marc Abrahams (Oneworld Publications, ISBN 9781780743615). Official publication day is March 6 in the UK, August 12 in the US. "Rationalism taken to intoxicating extremes"
Come to our show at Conway Hall, London on Tuesday, March 18, for the official celebration of the book. Magnificent persons will each perform dramatic, brief readings from published scientific studies. "Mr. W. S. Gresley criticizes the summing-up of my views... It would have been more satisfactory if Mr. Gresley could have read my original paper before penning his letter." This unlikely paper on ruin. Which investment will turn out the best? Most likely just make me depressed.